Whether or not Kratom poses a danger to society is an arguable point. Advocates praise it for its many health benefits, and opponents say it’s too dangerous to be allowed. In the meantime, consumers don’t seem to mind as they feel Kratom’s benefits far outweigh any risk. They continue with their regimen regardless of all the bad press. Other than the very real possibility of addiction Kratom won’t hurt you, or will it? A debatable issue at best. Encourages faster thinking by enhancing cognitive abilities. Brings relief to those who suffer from sleep disorders by helping induce sleep. Alleviates anxiety and stress by encouraging feelings of euphoria and contentment. Helps to maintain a positive attitude no matter the situation, making everyday life that much easier to get through. 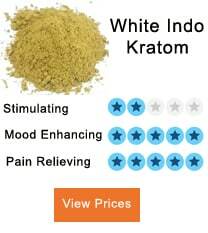 Kratom has helped many grateful addicts with effective treatment for their opioid withdrawal symptoms. How long it takes to begin feeling the effects of Maeng Da varies from person to person. 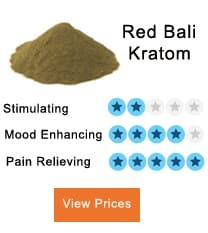 Typically, within 20 minutes after consuming one tablespoon of Kratom you can expect to feel stimulation, and after about 40 minutes there is a feeling of euphoria as well. Within 2 hours Maeng Da’s stimulation and euphoric feelings will be gone, and you are left with a comfortable, sedative effect. How long the effects of Maeng Da last depends on dosage. Small doses tend to last about 2 hours while larger ones can last as long as 8. Best absorbed on an empty stomach, once consumed you should wait at least 45 minutes before eating anything. Digesting food interferes with Kratom and causes a delay in feeling the effects as well as lowering its efficiency. Correct dosage is essential to get all you expect from Maeng Da. Following the advice of people who have been there increasing your chances of getting every possible benefit from Kratom. The body needs time to adapt to its use. Gradually increasing a dosage works better in the long run to reach the level that works best for you. Beginner’s trying to jump in with an Expert’s measure risk overdose. Stick to the following for best results. Beginner’s dose -1.5 to 2 grams. Standard dose -4 to 5 grams. Expert dose -8 grams and above. Measuring a powder dose accurately can be done even when you don’t have a scale handy. However, guessing on powder intake is a bad idea and can lead to overdose when you measure without a scale. There is no dependable way to “eyeball” extracts or Kratom leaf, and neither should be used unless accurately weighed on an electronic scale first. Remember the following to get the best out of your Maeng Da experience. Powder with a texture like flour is approximately 2.5 to 3g per one level teaspoon. Whatever stage you are at, taking more than four teaspoons at once is not recommended and can lead to addiction as well as unpleasant side effects. The average dose for experienced users is about 2 level teaspoons. Maeng Da tolerance can develop in days for some and never for others. If you find yourself using larger and larger quantities to achieve the desired results, you have built up a tolerance. Tolerance causes the human mind to become more dependent, and you will notice a decrease in effectiveness. 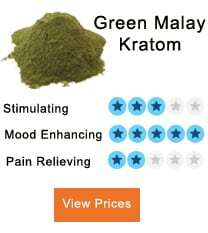 Don’t be tempted to over-use Kratom. Doing so limits the exposure of your body to other alkaloids and causes generation of tolerance. Overdosage is easy to avoid just by using good sense. 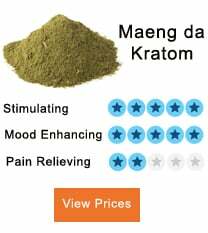 Data suggests that using more Maeng Da or any other strain of Kratom than recommended can be a health hazard. You can expect to feel any of the following symptoms when too much has been used. Maeng Da is a safe strain but does not come without side effects for some consumers. However, as long as you pay attention to suggested dosages and don’t try to take more than recommended it is safe. Keeping a close eye on intake can help avoid the following unpleasant side effects. Initially banned by the United States DEA due to its potential for abuse, after proof of its effect on brain stimulation and the ability to relieve pain that ban has rescinded and Kratom is now legal in most states. Exceptions are Indiana, Louisiana, Kentucky, Arizona, Virginia, Iowa, Vermont, and Hawaii where it is still illegal. Kratom is legal in most other countries including all of Europe but is still banned in Australia, Malaysia, Finland, Myanmar, and Thailand. If arrested for possession in these countries the penalties are severe. Best advice is to make sure of its status in your area and then proceed accordingly.